Plant Name Pharmaceutic: Vanillae Fruct. Bourbon tot. Large quantities please request for quotation. Prices and availibility are subject to change without notice. Vanille in Stangen ganz Vanilla bean whole Vanille Fruct. 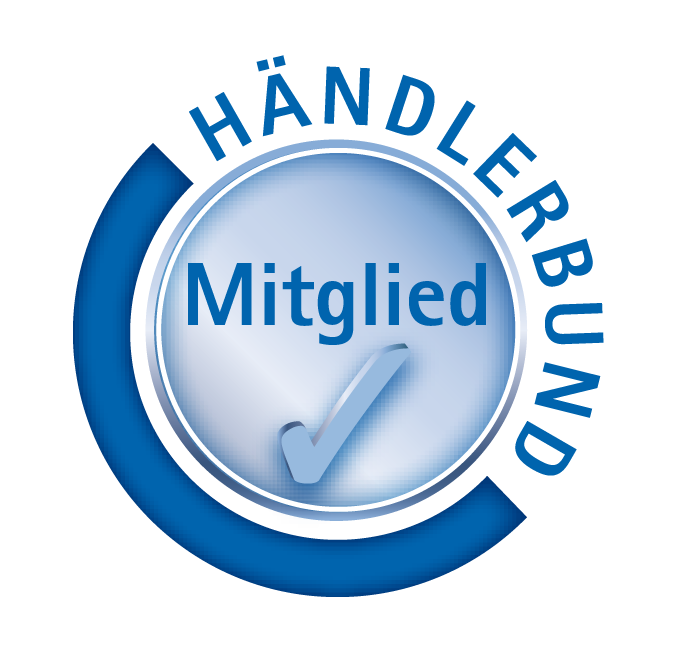 Stangen tot. 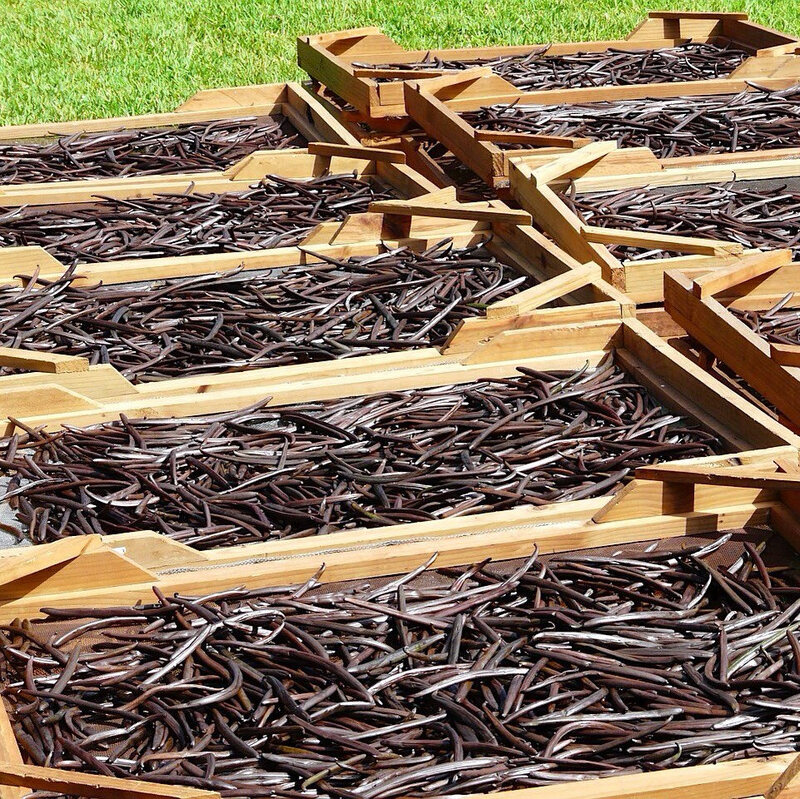 The main species harvested for vanilla is VANILLA planifolia. Although it is native to Mexico, it is now widely grown throughout the tropics. The aroma of VANILLA is unmistakable, instantly recognizable and utterly intoxicating. 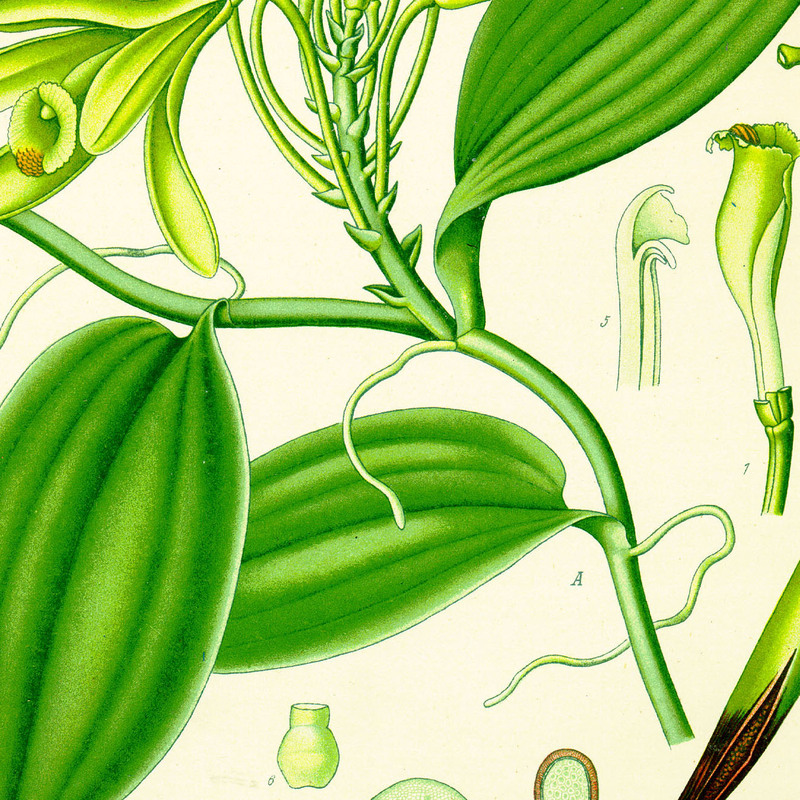 Vanilla is anything but ordinary -- it has a history as complex as the spice itself. 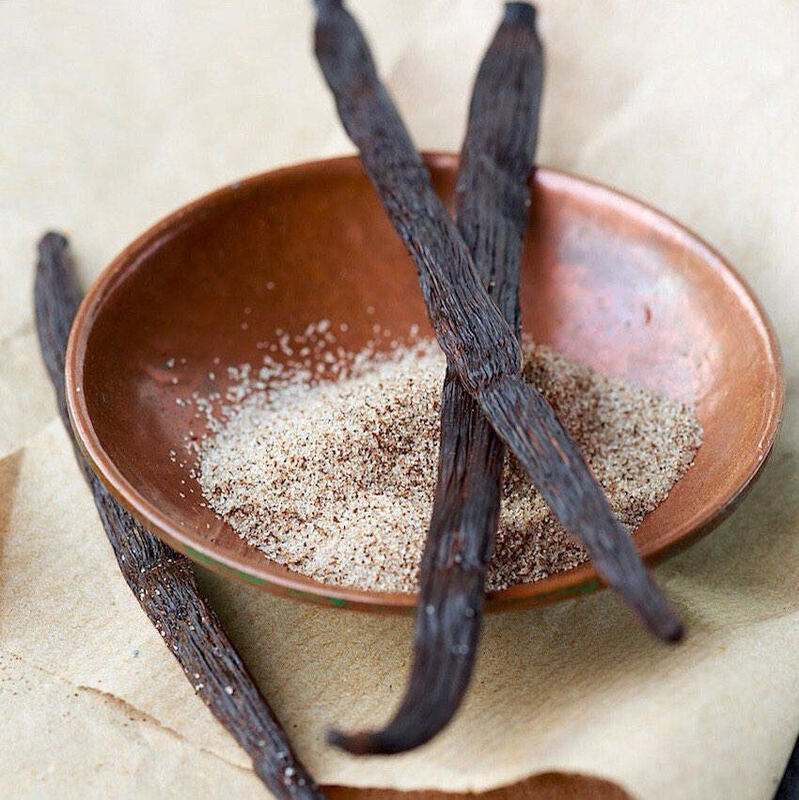 The ancient Tononaca people of what is now Northern Mexico were the first to cultivate the wild vanilla orchid and harvest the wild vanilla bean. According to popular belief, the Totonac people, who inhabit the east coast of Mexico in the present-day state of Veracruz, were the first to cultivate vanilla. According to Totonac mythology, the tropical orchid was born when Princess Xanat, forbidden by her father from marrying a mortal, fled to the forest with her lover. The lovers were captured and beheaded. Where their blood touched the ground, the vine of the tropical orchid grew. In the 15th century, Aztecs invading from the central highlands of Mexico conquered the Totonacs, and soon developed a taste for the vanilla pods. They named the fruit tlilxochitl, or "black flower", after the matured fruit, which shrivels and turns black shortly after it is picked. Surprisingly, the Tononacans did not grow the vanilla bean to eat. Instead, vanilla was used as an important sacramental fruit and powerful aphrodisiac, with Tononaca maidens weaving the beans in their hair to attract lovers. It was only after the Tononacan people were conquered by the Aztecs that vanilla became and ingredient in cooking. Spanish conquistador Hernán Cortés is credited with introducing both vanilla and chocolate to Europe in the 1520s. VANILLA has a rich, fruity flavor with floral notes and a touch of rummy/bourbon like notes. Not only is the taste and aroma amazing, but these big, wonderful beans yield large amounts of inner seed. 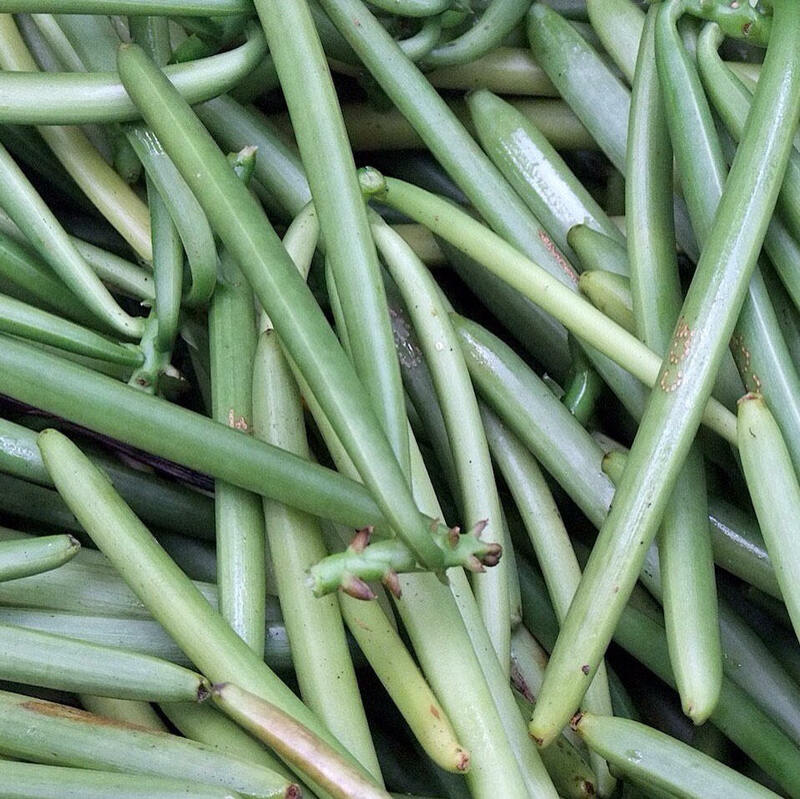 These beans are perfect for flavoring chocolate, coffee, ice cream, cookies and most sweet dishes. Good with certain savory dishes as well. VANILLA essence offers protection against the influence of scattered or negative energy from others or ourselves. Since each thought is living, we need protection from overloading our circuits and draining our energy that could be used creatively. Vanilla essence calms inner turmoil and relaxes body and soul. It allows us to stay clear and in control of our individual environment without unnecessary interference. 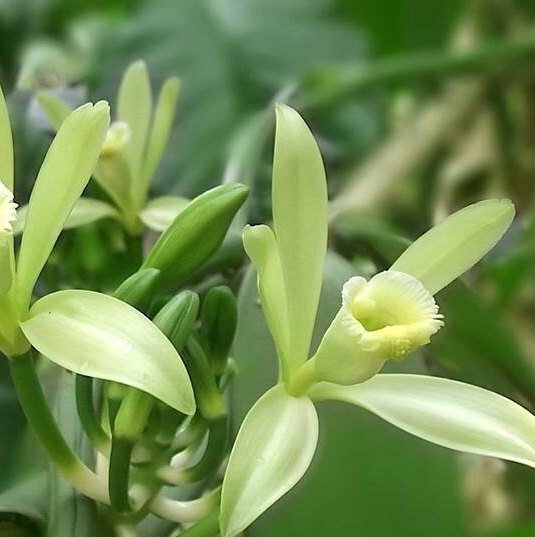 It is a favorite of children who enjoy the nurturing protection of the fragrant VANILLA.